Organic Sweet Almond Oil (Prunus Dulcis) - Sweetgrass&Rain Inc.
Sweet Almond Oil is an excellent emollient and is known for its ability to soften and re-condition the skin. It is rich in proteins, Linoleic Acid and Vitamin D and is considered extremely nourishing, particularly when used regularly. 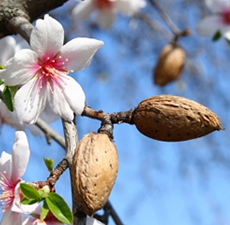 Sweet Almond Oil is often used to sooth dry and irritated skin.